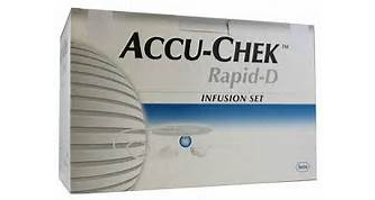 Rapid-D infusion set is ideal for application in virtually any body location because of the unique design featuring a comfortable, ultra-thin 28 gauge needle with a 90-degree insertion. Great for people new to pumps or with poor vision. It is designed to work with all standard luer lock insulin pumps, including Medtronic MiniMed 504-508 pumps, Animas pumps and Smiths-Deltec pumps.